Financial Regulation Matters: The Financial Reporting Council’s New Corporate Governance Proposals: ‘All Talk’? The Financial Reporting Council’s New Corporate Governance Proposals: ‘All Talk’? Today it was reported that the Financial Reporting Council (FRC), the agency that is primarily concerned with setting governance standards within the financial sector, is seeking to readdress and expand its role within the regulatory framework. In this post, the focus will be on the FRC’s suggested approach, and will conclude with a small suggestion as to how the effectiveness of the FRC may be increased. Interestingly, the release of the news of the FRC’s attempt to do more comes right on the heels of a story that was covered by the Financial Regulation Matters blog – the proposals put forward by Frank Field and the Work and Pensions committee, proposals that would alter corporate governance in the U.K. if they were to be implemented (reported here). There seems to be two narratives at play recently, both of which revolve around one crucial period in time – how the U.K. Government responds when it actually leaves the E.U. The first narrative, as discussed in a previous post, is that Theresa May will lead a sustained degeneration of standards to entice investment into the country post-Brexit. The second, which the FRC, and to a lesser extent Frank Field, have subscribed to, is that the changing times offers a fertile opportunity for regulatory change for the better. What follows is a discussion of the FRC’s suggested approach in light of those two narratives. The FRC has been in the process of courting suggestions for how it may improve the elements of corporate governance for which it is concerned with for the past three months, and will continue to do so throughout the year, particularly over the summer of 2017. 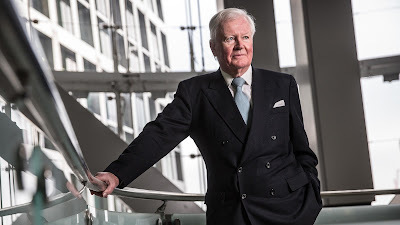 The press releases from the FRC reveal very little, with the Chairman of the FRC, Sir Winfried Bischoff (pictured) saying ‘we will conduct a review of the current U.K. Corporate Governance Code’ for example, but expert analysis into the reform process reveals a detailed and considered ambition. Linklaters suggest that there are five key components of the suggested reforms, with each being equally important. The firm start by confirming that the FRC are attempting to increase its powers to recover information from regulated entities, so that instead of monitoring strategic reports and financial statements like they do now, the FRC would be able to secure much more information to assist in its mission of testing a company’s compliance with governance codes. Next, Linklaters picks up on the element that relates to the issue Frank Field identified, namely that the FRC want to improve the operation of Section 172 of the Companies Act 2006, which focuses upon the ‘Duty [of Directors] to promote the success of the company’, so that Directors must demonstrate how they have taken into account the interests of stakeholders, which forms part of the success of the company. This does not go as far as the recommendations of Frank Field and the Work and Pensions Committee, but it is nearly the same argument – protecting stakeholders, which includes pension holders, should be seen as being a fundamental component of a company’s ‘success’. The FRC are then asking for a Government review, effectively asking for an increase, in the enforcement potential against Directors who fail in their responsibilities; quite what the increase would be is not certain – that would be for the Government to ultimately decide. In relation to this, Linklaters highlights a similar point that is being raised by the FRC, which is that they are suggesting that a code for ethical duties be developed which would sit alongside the relevant Directors Duties of the Companies Act 2006, so that the Directors’ disqualification regime may be extended. Finally, and perhaps most importantly, Linklaters state that the FRC was to expand their remit and develop a corporate governance code for private companies, which falls directly in line with Frank Field’s suggestions to interfere with the business of private companies more than ever before. However, the suggested approaches of the FRC, of the Work and Pensions Committee, and in fact anyone else, are all dependent upon the appetite of the Government to enact such sweeping and potentially-revolutionary reforms – on that note, there are conflicting reports. When Theresa May first made it past the leadership election to become the Prime Minister, she pledged that she wanted employee representatives of company boards and to make the votes of shareholders legally binding when it came to remuneration, ultimately declaring that ‘It is not anti-business to suggest that big business needs to change’. The sentiment from leading Conservative party figures has continued, with Greg Clark, the Business Secretary, stating that ‘This government is unequivocally and unashamedly pro-business but we hold business to a high standard in doing so’. Yet, there is a growing concern that this declared appetite is waning in reality. The Labour MP Iain Wright called the decision to set out these points for debate in the green paper a demonstration of the ‘tentative’ approach, whereas other commentators have suggested that corporate lobbyists will ‘breathe a sigh of relief’ upon reading the green paper. The FRC, and indeed the Work and Pensions Committee, should be praised for their bold ideas. Whilst this piece agrees with the need to intervene in Private Companies’ business, and install representatives of pension holders onto corporate boards, there is a potential that the claims represent a ‘free swing’ – it would be an incredible event to see a Conservative government allow for regulation to excessively interfere with private business, and even more so to see them install workers, by way of legislation, into the boardroom of all companies. For the FRC to be truly effectual, their Code of Governance would need to be mandated upon all companies, so that the behaviour of the companies, and their compliance with agreed upon rules could be monitored. Yet, this does not represent reality. It is disappointing to come to that conclusion, but it is right to do so. The reason why it is right is solely because of the period that is approaching. In the U.S. the American people are experiencing the consequences of their actions, rightly or wrongly, immediately after their Presidential elections. In the U.K., the electorate is being held in suspense as to experiencing the consequences of their actions – the real effects of their decision to leave the E.U. last year are effectively suspended until two years after the formal secession procedure begins. Therefore, the time in between is crucial. What the calls of the FRC and the Work and Pensions Committee do is provide for ammunition to show the true sentiment of Government – if they agree and implement such reforms then the stability of the U.K. economy will be increased ten-fold; if they do not implement the reforms, we can rightly ask ‘why not?’, and judge the ability of politicians to enact needed socially-considerate reforms on the basis of the answer to that question. Even if the proposed reforms are not enacted, which it is feared here they will not, then at least it increases the dialogue and debate in a period which needs to be characterised by our challenging of our leaders to act in our interests.